One of the secrets for finding cheap airline tickets from USA to India is to check alternative flights for your itinerary. Usually, nonstop flights for major US to India routes sell fast and their fares run high with the decreasing number of seats available. Flights from major US cities with one-stop access to major Indian cities are the best alternatives to high-selling nonstop services, in terms of airfare. Alongside two Emirates daily nonstop flights between New York JFK and Dubai International Airport, the new EWR to DXB nonstop daily will give seamless access to Emirates flights to Ahmedabad, Bengaluru, Chennai, New Delhi, Hyderabad, Kochi, Kolkata, Mumbai, and Thiruvananthapuram. Notably, Dubai has good air connectivity with most of the major Indian airports. 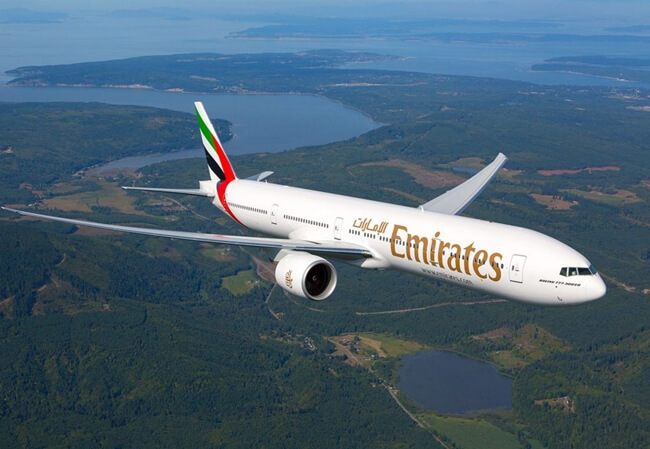 Providing Indians in New Jersey and New York Indians with one-stop access to India from Dubai, the new nonstop Newark to Dubai flight will complement Emirates Airlines’ existing service from New Jersey to Dubai via Athens. Additionally, Emirates’ new Newark to Dubai nonstop daily service is good for those having a US visa or green card, since they are eligible for the UAE visa on arrival for 14 days at Dubai. It will benefit family travelers and business flyers who are looking to spend a vacation or attend a conference in Dubai before catching flights to their respective destinations in India. Since nonstop flights to India from USA sell out faster than expected for peak travel seasons of the year, flights like Emirates’ Newark to Dubai with one-stop access to India relieve many travelers of the last-minute air travel worries. Though we at Indian Eagle book cheap connecting flights from Newark, New York and other US cities, we mostly recommend these services to business travelers, solo trippers and backpackers who choose to visit or explore Dubai over a short layover at Dubai. On March 25, 2018, Emirates Airlines launched nonstop daily flights from Orlando (MCO) and Fort Lauderdale (FLL) to Dubai, with one-stop access to its Indian destinations for Indians in Florida.